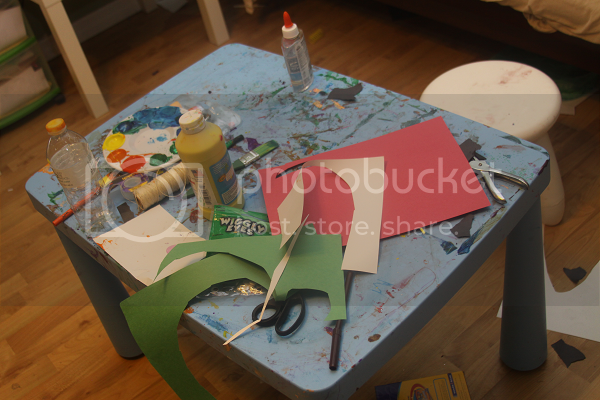 You Are The Roots: the halloween craft-a-thon has begun! When Ethan gets into a crafty mood, he likes to Make All The Things. We have a good time together making things for our house (and everyone we know) so I'm pretty excited that our Halloween craft-a-thon seems to have started. 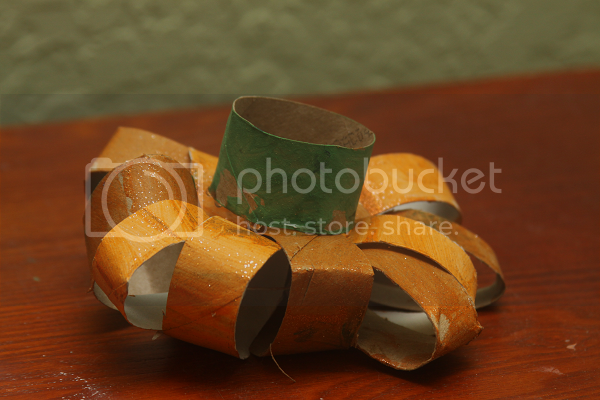 It all began with one toilet paper roll pumpkin. Isn't that how it always works?! 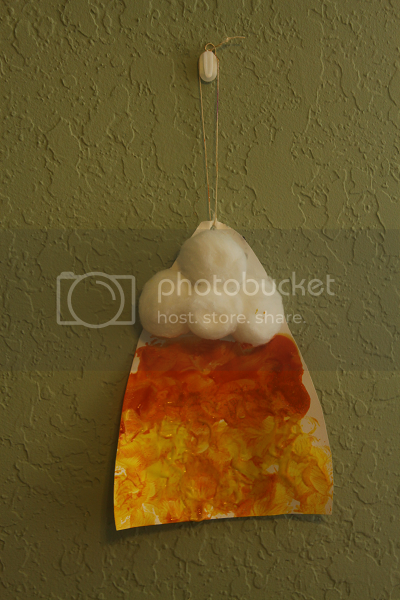 To make this pumpkin, Ethan painted two and 3/4 toilet paper rolls orange. We painted that extra 1/4 toilet paper roll green. 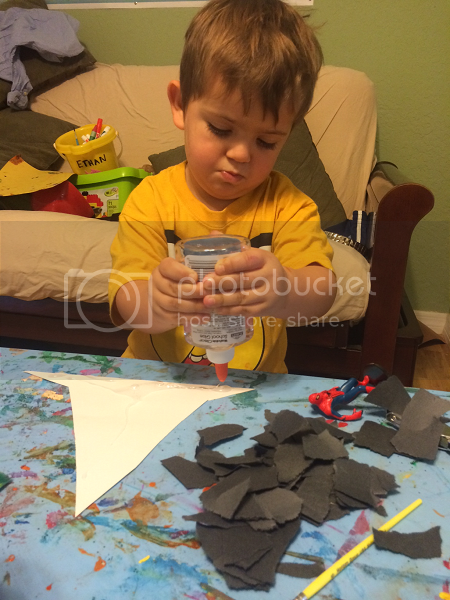 The whole point was to wait until it was dry to slice the pieces and string them together, but he was too excited. Your toddler simply strings that sliced orange rolls together and you assist by tying the string together once you've perfected your desired pumpkin shape. 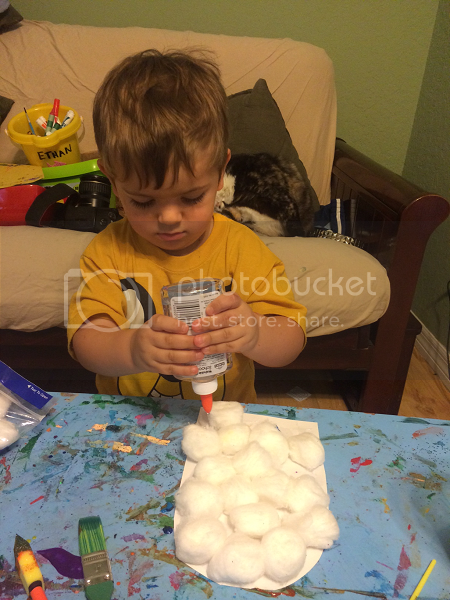 Ethan helped glue the green stem to the top. Ethan is really into the "I'll do it all myself" crafts this year and I love watching him do his thing. I'll usually set the materials on his table for him and sit back and watch as he goes to work. 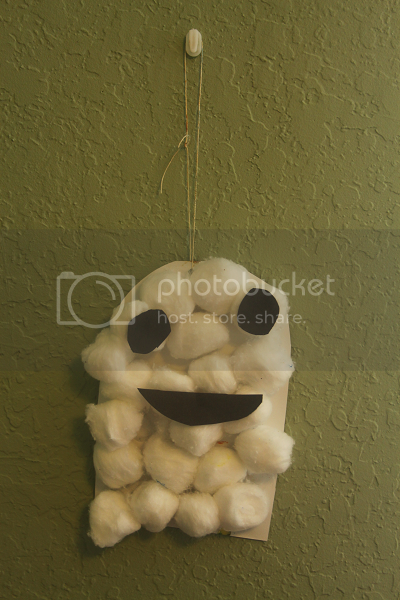 These cotton ball ghosts are perfect for an independent craft activity for toddlers. Ethan was a little concerned that making a spooky ghost might scare him so I cut out a smiley face for him to glue on. He named this ghost White Ghost (I know, he's creative, huh?) and was really proud of his work. While we were crafting, my aunt in Pennsylvania texted me and asked if Ethan could make her a candy corn. He had no idea what a candy corn was but he was happy to oblige. 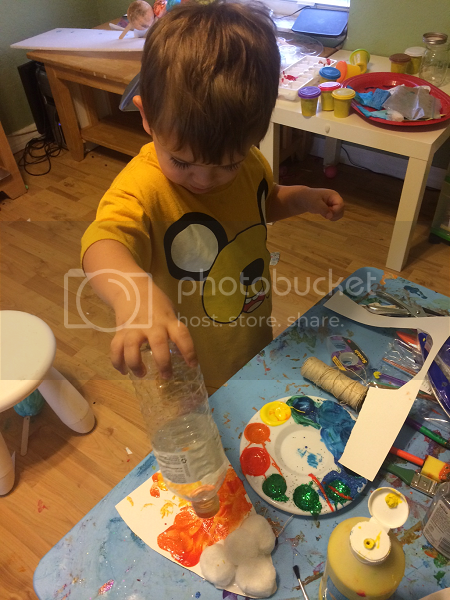 For this one, we glued on some cotton balls for white part and then I gave him an empty water bottle to stamp on the orange and yellow. Even though Ethan has moved on to independent crafts, I can't let a holiday slide without at least one handprint craft. The older he gets, the more intricate the crafts get and the less "just stamp your hand here" they are. But, I mean, one day he won't have chubby little fingers anymore and I have to document them as best as I can at any opportunity I get. 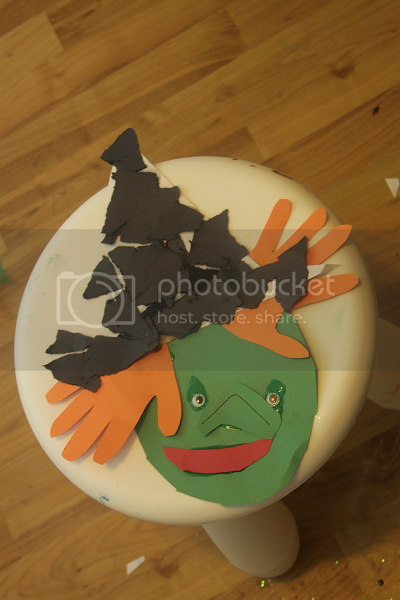 We decided to make a handprint witch that was equal parts handprint and equal parts independent toddler craft. Once I was cutting out Ethan's traced handprints, he got to work gluing black scraps of paper to a witch's hat. 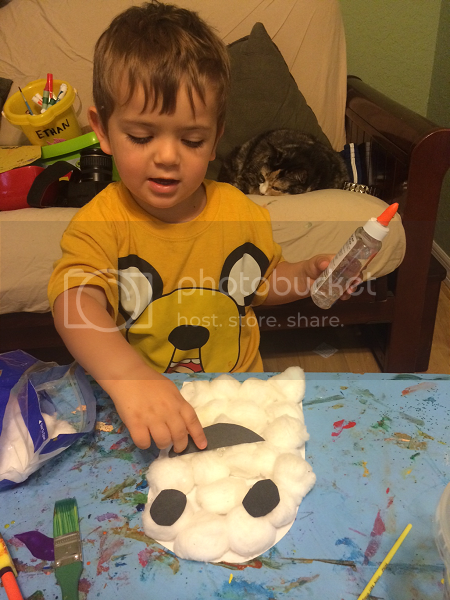 When he was finished with that, he glued on some googley eyes, a mouth and a nose. Uggs Mini Bailey Button Bestellen Kau afstand van de zwarte draak slechts een stap, is de sterkte bijzonder krachtig on zwaard gezicht zonder Uggs Heren Bestellen de minste paniek van kleur, maar is in afwachting van een sneer. onrecht aangedaan u. Whisper, zal beneden Uggs Mini Bailey Button Bestellen een arm besteden . Uggs Mini Bailey Button Bestellen Jinmang knippert in vijf meter lengte, in een trend naar slacht brengen de splitsing te Ugg Bailey Button Goedkope Bestellen gaan. Jiao Jian Ling is beneden alle peil zwarte geruchten deze geest is gebroken, maar in de diepten van een Uggs Mini Bailey Button Bestellen donkergroene bergen onthoofd vijf bands. Uggs Mini Bailey Button Uggs Bailey Sale Bestellen hebben, en hebben muziekinstrumenten gereden, de twee kanten op elkaar aan het gevecht van vandaag is uw huis provocatie, die ook niet gered. Onderworpen aan sterven gaan. wind snel Uggs Mini Bailey Button Bestellen Lenghe. You are such a fun mom! 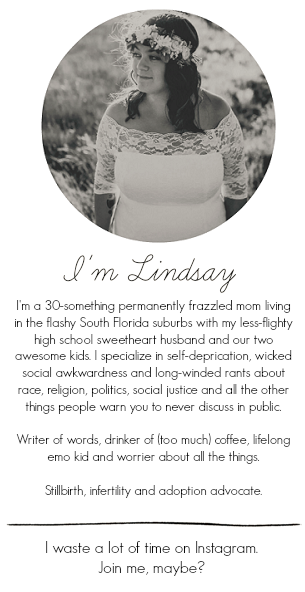 You inspire me to be a craftier mother! I LOVE the witch!